While some jobs allow us to meet our clients’ needs following a steady, balanced project-schedule over an extended time-period until completion, others require a rapid and intense response, sustained continually until the emergency situation has been resolved. Integrated Property Solutions has the skills and capacity to meet such challenges – minimising the impact of any damage and doing our best to keep commercial buildings operational. Recently one of our clients had the misfortune of having a fire sprinkler accidentally activate on the 9th floor of their multi-storey building. Almost 2000 litres of water a minute inundated the area before the authorities could shut it down, some five minutes later. 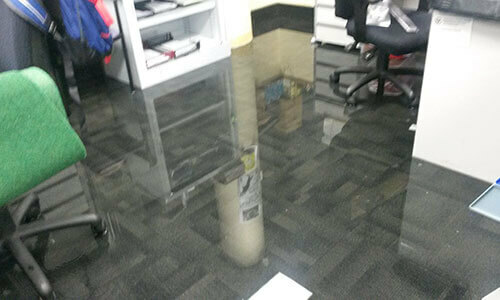 The large escape of water had affected offices throughout levels five to nine of this multi-storey building. Each had sustained different extents of damage. Although the most severely inundated, level nine had fortunately been left vacant for renovation. 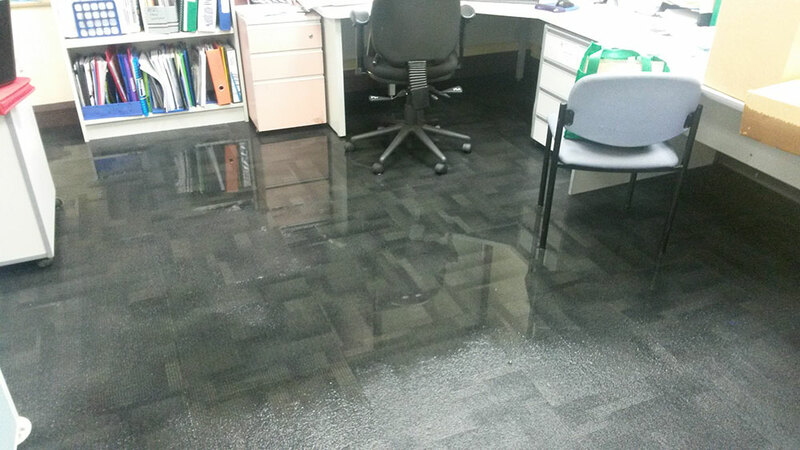 Level eight was a fully tenanted floor and over twenty workstations had been affected. This forced the business on that level to suspend operations for the day. 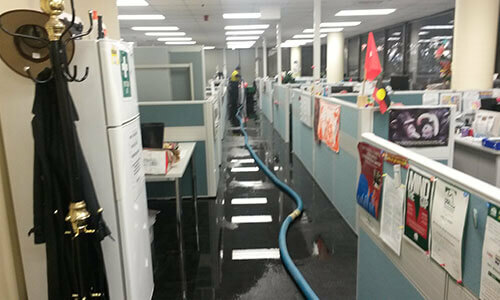 Levels seven and six had eight workstations each affected, while level five, a fully-functional call centre with over thirty workstations, had seven workstations affected by water. 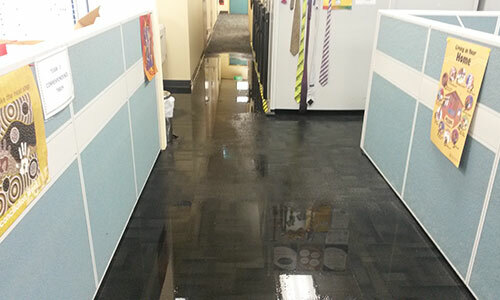 Our rapid response, combined with high labour levels (Our first team member was onsite within twenty minutes, followed by another eight within the hour), enabled us to keep levels five and six fully operational, as we set to work with specialised extraction equipment and strategically-positioned carpet fans and dehumidifiers. Through a concerted effort by all, level seven was brought back into operation by the start of business the next day. Level eight followed; becoming operational two days after the event and fully functional after three. Due to level nine being unoccupied, was brought back into operation once the renovations had been completed. Integrated Property Solutions managed to keep the inconvenience to the owners of the building and their tenants to a minimum, thereby reducing the potential for further damage to the premises and delivering a cost-effective solution to a major problem.